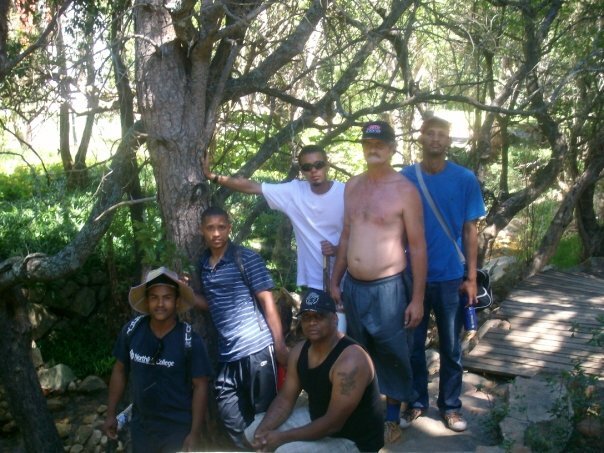 This Friday past we took some of the new the guys that are on our Daily Substance Abuse Programme on an excursion to Table Mountain.This was not just a fun day out, but also a way and means of getting away from the very busy everyday city life. This was also a day where the boys could look back and reflect on their journey that they are now on. 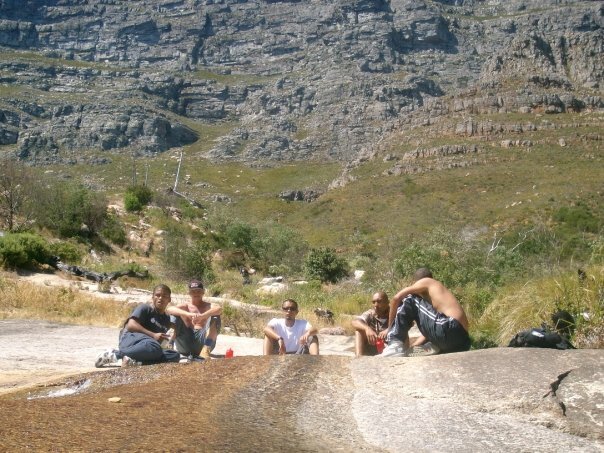 The guys on Table Mountain reflecting. They have successfully been clean and off from drugs such as heroin,methamphetamine (tik) and various other drugs for a couple of months now.Praise God! I take my hat off to these guys as they are doing this in the midst of festive season and all the parties that are currently happening around them. They could have so easily have been drawn into all of these things but God’s hand is upon their lives. They now had to reflect and see what challenges there were in the past, how they overcame it , and now look forward as their journey continues. The guys were each asked to find a quiet place of their own,reflect and also bring back something out of nature that will best describe their journey.Whether it be a leaf ,a twig,a stone..they could choose.They had 20 minutes in which do to this and then had to come back to the bigger group and give feedback.The feedback session was powerful and lots of positive things flowed from the guys.One could see and hear the progress they are making.Needless to say , the guys had an awesome time on Table Mountain and enjoying Gods beautiful creation. Me and the guys as they are about to give feedback to the big group. 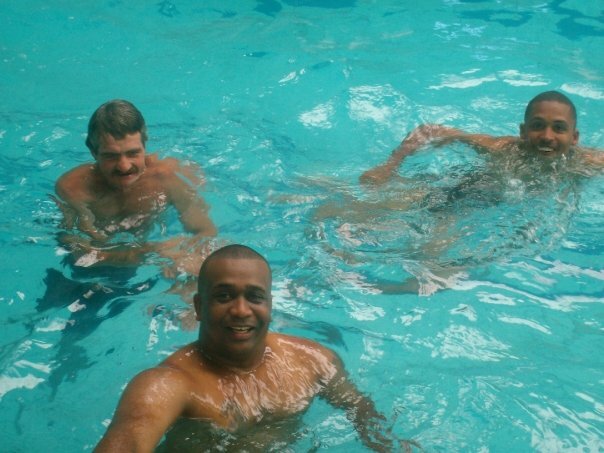 After our time on the mountain we headed down to Longstreet Baths for a well deserved swim.I am so proud of the guys and what they have accomplished and the long way they have come.I thank God for keeping them safe and out of harms way. In my next bog post i will be telling you how i had to face the festive season when i decided to come off from drugs. Thanks for sharing my brother. I too take my hat off to the guys and to yourself and Bradley for investing into these guys lives. God bless. Yes praise God.They are doing well and soon will be doing the work we are doing and more.All glory to God! You are currently reading A Journey Of Their Own at A JOURNEY OF A THOUSAND MILES BEGINS WITH ONE STEP.